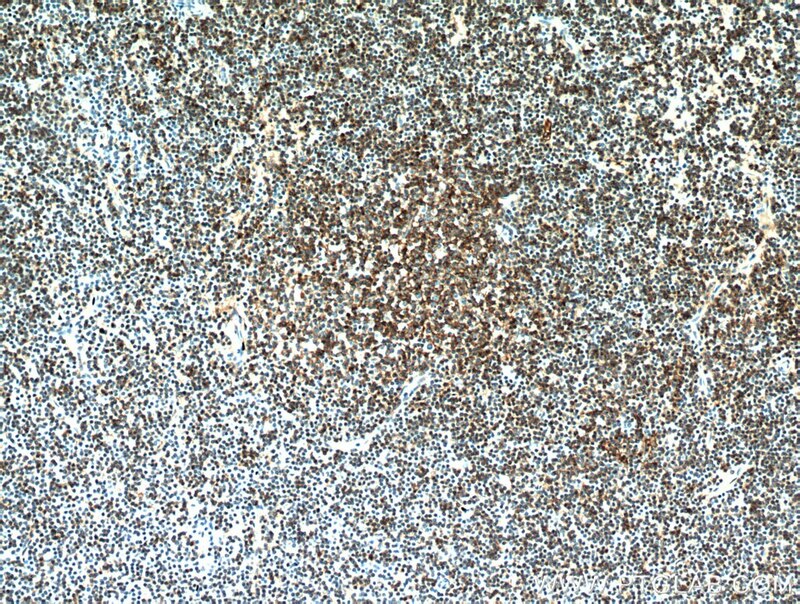 Immunohistochemical analysis of paraffin-embedded human tonsillitis tissue slide using 10300-1-AP( CD23 antibody at dilution of 1:200 (under 10x lens). heat mediated antigen retrieved with Tris-EDTA buffer(pH9). 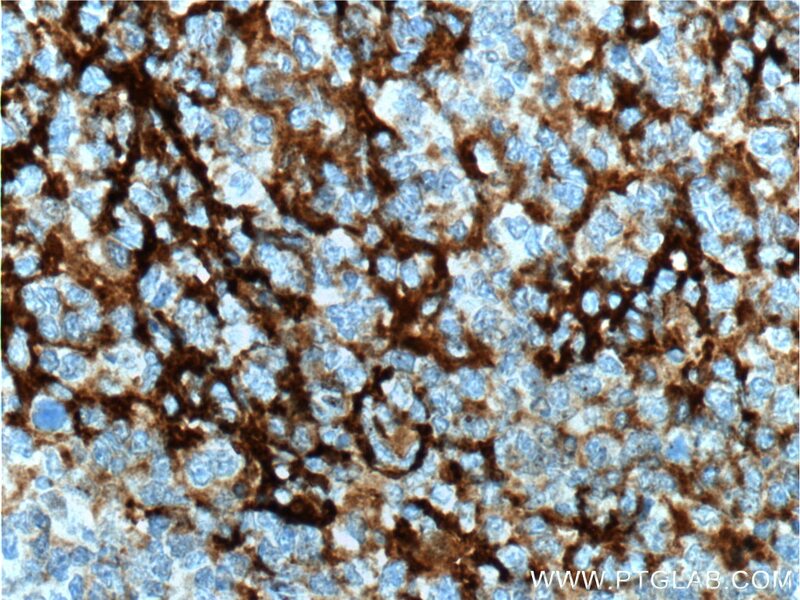 Immunohistochemical analysis of paraffin-embedded human tonsillitis tissue slide using 10300-1-AP( CD23 antibody at dilution of 1:200 (under 40x lens). heat mediated antigen retrieved with Tris-EDTA buffer(pH9). 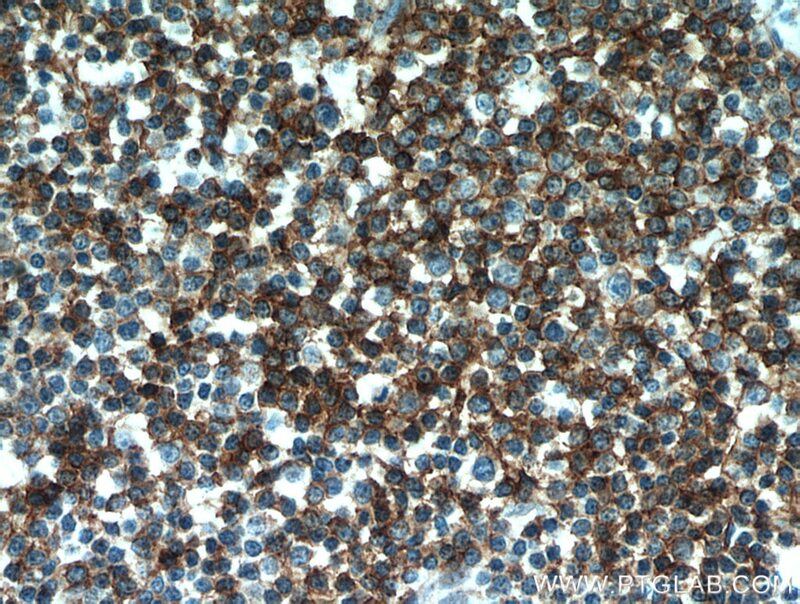 CD23, also known as low affinity immunoglobulin epsilon Fc receptor, is a transmembrane glycoprotein present on a subpopulation of B lymphocytes in germinal centres, EBV-transformed B-lymphoblastoid cell lines, follicular dendritic cells, and a subpopulation of peripheral blood cells. 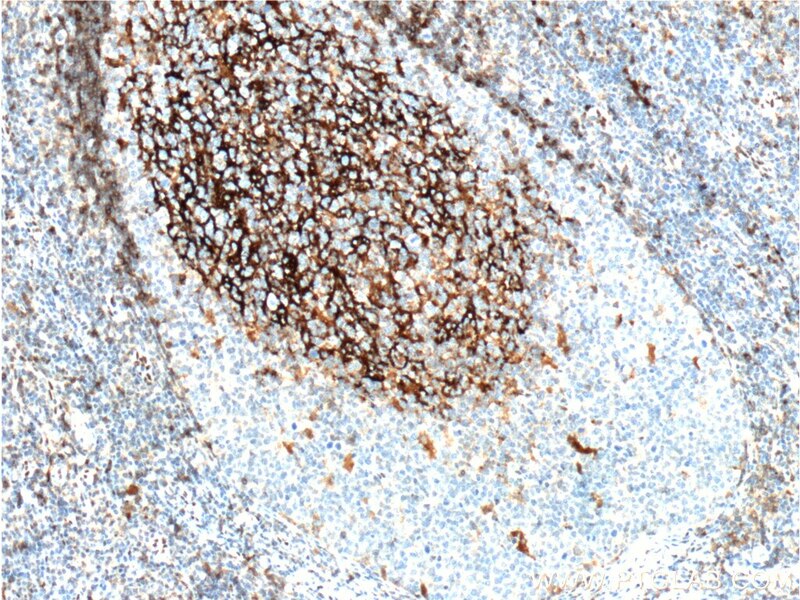 CD23 has essential roles in the regulation of IgE production and in the differentiation of B-cells.